The Canadian House of Commons unanimously condemned attacks, by President Trump and his trade adviser Peter Navarro, on Prime Minister Justin Trudeau with a symbolic vote on a motion supporting Canadian steel and aluminum — hit by U.S. tariffs, Reuters reports. 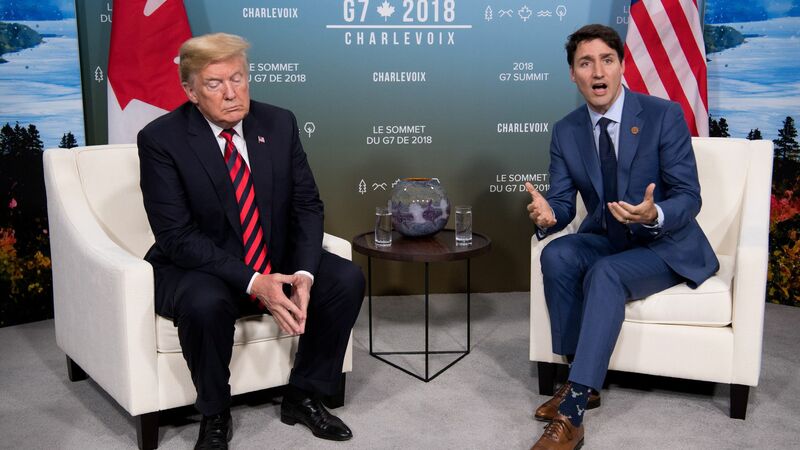 The backstory: Following the G7 summit, Navarro said on Sunday that "there is a special place in hell" for Trudeau for his "bad faith diplomacy" with Trump, but later apologized for his "inappropriate" comment. Trump also called Trudeau "very dishonest and weak." Tension between the two countries continues to escalate following Trump's latest tariffs on Canadian aluminum and steel.